This Knight Is the Dragon! What did you love best about Zanaikeyros - Son of Dragons? I love the story...a very strong man fighting for his equally strong woman! Eric G. Dove performed this reading masterfully! I have enjoyed each of his other performances greatly, but I would have to say this was tops! 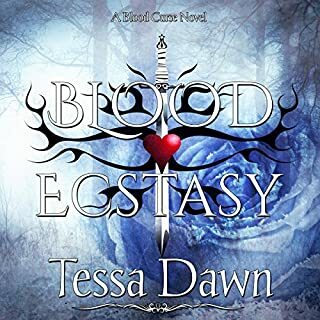 I love Tessa Dawn's books both in written and audio formats. Her storylines are wonderful, her characters, everything is exciting to read or listen to. I especially love that her romance is tastefully written without the vulgarity (many times outright pornographic) as in some author's books. She is my favorite paranormal author and I highly recommend her works! Julien Lacusta is a troubled soul, born into tragic circumstances, and raised in a violent time. Despite being a Master Warrior in the house of Jadon, and one of the most elite trackers the Vampyr have ever seen, he is damaged to the core: tormented by endless shadows, haunted by unseen ghosts. And he knows - by all the celestial gods he knows - that if he ever releases those demons, the beasts that lurk within, there will be hell, fire, and brimstone to pay. Would you consider the audio edition of Blood Ecstasy to be better than the print version? The audio edition allows you to really hear and feel the emotions as read by Eric Dove. However, I love the print version just as well! Both are amazing!!! I loved the interaction of the characters...the troubled, guilt-ridden souls of both Julien and Rebecca as they discover the hidden bond that brings them together. The scene in Kagen's examining room when Rebecca sees Julien for the first time since his horrific fight was especially emotional! 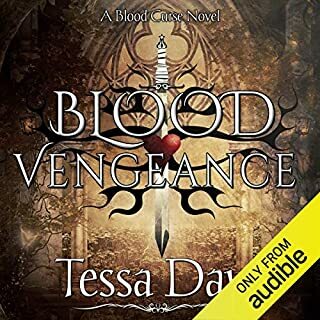 If you are a fan of Tessa Dawn's Blood Curse series, you will most definitely NOT be disappointed by the audible version!!! If you are a new reader, this will make you a fan of the awesome series!!! Clash of Light vs Dark!! All grown up and on her own, Lacey decides to start her very own business....a paranormal detective! As seen from her eyes, this story is funny, scary, thoughtful....a full range of emotions each of us go through as we find our place in this world. Emily Beresford's portrayal of Lacey and her emotional journey is amazing! This is a short story worth listening to!! What made the experience of listening to Blood Genesis the most enjoyable? 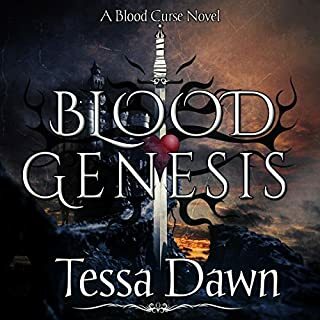 In this book, we hear the story of the Blood Curse firsthand from Jessenia, the last living female, and Timaos Silivasi, her love and the forefather of the present Silivasi family. Jessenia's story...her tremendous courage to fight for the future generations of Prince Jadon, her beloved Timaos, and the child Napoleon Mondragon, was compelling as she dealt with her fear of being sacrificed as the last living female. Jessenia was definitely my favorite character as performed by Eric Dove. He brought to life each emotion...the fear, the anger, the love, and the courage of this amazing woman! 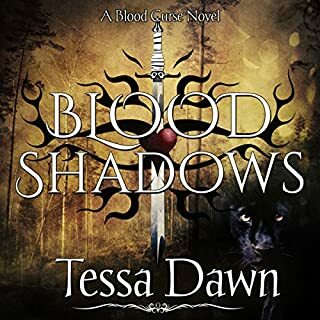 Whether you are a new reader or a current fan of the Blood Curse series, this story brings to life the background of the curse and each character in the future books! Here you will understand the history of Jadon and Jaegar firsthand, and how the the Silivasi's stories weave through the Blood Curse from the very beginning. What did you love best about Blood Vengeance? What an amazing, haunting, life changing story of love between two completely opposite characters...a petite, pixy blonde who is the destiny of Ramsey, the gorgeous, formidable "Hulk" Sentinel of Dark Moon Valley! What was one of the most memorable moments of Blood Vengeance? I have listened to every Blood Curse book as they have been released. Blood Vengeance is fantastically wonderful! Eric brings life to every character...male & female! Every emotion from fear, joy, humor, love....each is perfect in his skillful portrayal! I LOVED listening to this book and will do so again and again! If I could have listened to this nonstop from beginning to end, I most certainly would have! Blood Vengeance is a wonderful book to read, but Eric's performance as he reads this book makes it come to life! I venture to say that this is the best performance yet! You will love listening to Blood Vengeance and hearing this story live! What made the experience of listening to Blood Father the most enjoyable? In Blood Father we discover the childlike love and hurt of losing a parent and then the angst, the joy, the fears of fighting the unknown in a quest to find that parent. Listening to Eric Dove's voice as he narrated through humor, fear...all the wonderful emotions of a family finding each other was amazing! I have only heard Mr. Dove's performances in the previous Blood Curse novels, but I must say that his narration is awesome! He truly brings the characters to life and it is truly enjoyable to listen to his voice! As always, Tessa Dawn writes a book that begs to be read and reread! In the audible form as read by Eric Dove, these books truly come to life! Well done!!! Can EVIL truly be Redeemed? 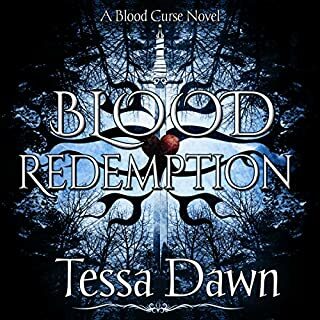 Where does Blood Redemption rank among all the audiobooks you’ve listened to so far? Blood Redemption has to rank first in the audiobook series so far. Princess Vanya with all her beauty, charm, & royal training discovers that beneath all the trappings of her royal lineage she is first AND foremost a woman. The process of her discovery is amazing to behold. Eric Dove captured the true essence of the evil dragon Sabre from the beginning through his redemption. If I could have stayed awake to listen to this book in one sitting, I most certainly would have! As it was, I listened to & from work and every available moment during the day! The book Blood Redemption was an amazing read. The audiobook is fascinating to listen to as Eric Dove reads with so much emotion, catching all the subtle and not so sublte nuances so well! I loved, loved, loved listening to this book...and will be listening to it again over & over! Would you listen to Dragons Realm again? Why? Listening to the narration of Dragons Realm by Mikael Naramore is such a pleasure!! I loved reading the book, but Mikael's voice makes this story literally come alive! 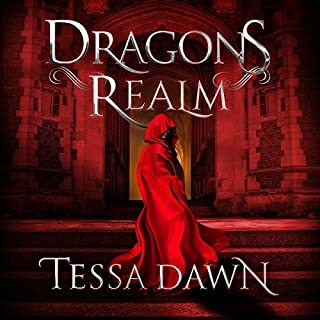 Tessa Dawn spins her tales with strong characters (men AND women), lots of action, love, magic, and twists of suspense! I literally could not put this book down until the last word was read! What didn't I like is more like it! His voice is so amazing! He brings life to this story that makes it a pleasure to listen to over and over again! If you love fantasy stories, you absolutely must listen to this book! 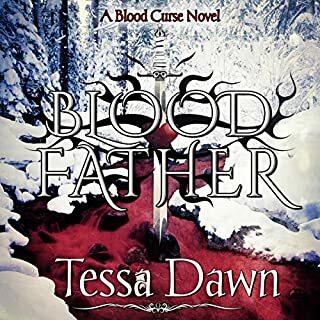 Tessa's story is so original, and Mikael's voice brings this book to life! You will listen to it again & again! Hell Cannot Hold This Wizard's Love! What did you love best about Blood Shadows? Not only is Nachari a powerful wizard, but he discovers the true power of his magical skills as he fights to return to his family & his destiny from the bowels of hell! This is the story of real love...of family, between brothers, husbands & wives, and that power that draws you to someone only seen in your dreams. The kind of love that makes you fight with every ounce of power within you to get to that person...even from the fury of demons in hell! Tessa has created such a story...so vivid in its telling that you can see every scene as it happens! My favorite scene (among many, I might add) is when Nachari's spirit breaks away from the torture from his demon captors to Kagen's clinic where Deanna is being medically transformed from human to vampyre. Amazing!!! Eric Dove's reading of Blood Shadows is amazing! He brings such life to the characters created by Tessa Dawn! This series (which is awesome to read) is even better when listened to! You will not regret reading or listening to any of the books in this series!!! What did you love best about Blood Possession? 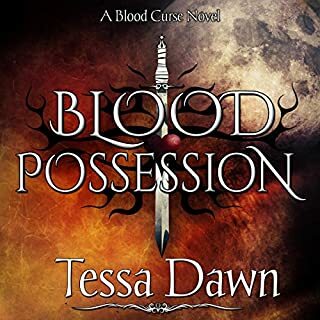 Tessa Dawn's characters in Blood Possession are amazing! From Napoleon, the vampyr king & Justice, and his bright & beautiful destiny Brooke who has lived through terrible horrors in her young life to the wizards, warriors & healers who battle evil demons this story never slows down from the first to the last page!!! What was one of the most memorable moments of Blood Possession? At the moment that Brooke is finally realizing the promise of being a destiny to the great vampyr king Napoleon, they are attacked by a brutal evil entity who has been called forth by the Dark Ones. Napoleon's body is possessed by this hideous green worm and through this evil, Brooke will never be the same! This pivotal moment awakens the fight between good and evil as never before! Eric Dove has a smooth, easy to listen to quality which brings each of the Blood Curse books to life! One of my favorite parts in Blood Possession was when Napoleon meted out justice for a terrible childhood event in Brooke's past. The strength & power to help heal his destiny's love was magnificent! This story has it all.....family, love, hate, good, evil, strength, courage, cowardice! Hearing the written word brings this book to life! I highly recommend it! !